Since its launch in 2004, many of us have developed a love/hate relationship with Facebook. When I first signed up for the social networking service in around 2006, it served as a great mechanism for reconnecting with long-lost friends. In particular, it helped me resurrect relationships from my days at University in Scotland, so I could meet up with former classmates when I travelled overseas. Prior to signing up, all that legwork was, quite frankly, a chore. I even used Facebook to reconnect with a friend from elementary school, who moved 2,000 miles away after the second grade. That would not have happened otherwise. Yet in some cases, I determined – as did many others – that I really don’t have a lot in common with some old friends from my distant past. Our lives have taken different paths. Some of them have probably started hiding my posts (as I did theirs) while a few others have undoubtedly unfriended me. Either way: no offense intended/none taken. In the past few years, I have settled into a pretty predictable, placid place on Facebook. I occasionally add new friends, but the bulk of my interactions are with a group of 20 or so former classmates and colleagues I have worked with since I moved to the Bay Area. 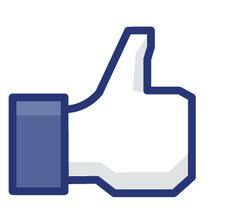 I post to Facebook less frequently these days, and I comment less often on the posts of others. I have also come to post fewer Instagram photos of alcoholic beverages, including exotic happy hour cocktails. Eventually, one Manhattan looks pretty much the same as any other – regardless of the filter you choose. Newer social media platforms have edged out Facebook for me, in certain circumstances. For a running commentary during sporting events, I’m all about conversations with strangers on Twitter (much to the relief of friends who could care less about baseball or the NBA). If a San Francisco Giants game goes to extra innings, my fingers fly. Recently, I’ve noticed friends on Facebook getting a little riled about the posting habits of others, which has been fascinating. Users seem to see this public forum as also very personal; if you post something one of your friends doesn’t like, you didn’t do it to your timeline… but to HIS newsfeed. In the parlance of Facebook… it’s complicated. Every Facebook member has his/her peeves. Just before the sequester kicked in, a former colleague took issue with one of my shares making fun of Congress, by directing a jab at House Speaker John Boehner. While my intention was to express contempt for politicians on both sides of the aisle, I make no apologies for having shared plenty of left-leaning opinions on my timeline in the past. It is, after all, MY TIMELINE. I am happy to discuss politics with anyone if we can keep it friendly, but for me Facebook is not the place for heated debate. It’s like conducting a shouting match at a dinner party, while the rest of the guests are trapped at the table until after the cheese course. My motto for Facebook is… live and let live. Believe it or not, since one or two Republicans have slipped past my complex Facebook screening model, even I am forced to do it from time to time. Some of my friends get seriously ticked off at parents posting kid photos, and endless milestones, sports awards and academic achievements. Maybe because I’m not a parent, this doesn’t bother me at all. I actually like it. My friends have some pretty amazing offspring, and I am forever trying to figure out how I can take even a little bit of credit for that. I’m not a big fan of gaming results on Facebook. I am honestly not terribly impressed that you beat your six-year-old at Scrabble, and I am a proud member of the Facebook group “I don’t care about your farm, or your fish, or your park, or your mafia! !” But again, if you want to share that stuff I’m not going to call you out for it. I may hide your posts after a while, though. My biggest peeve is the thinly veiled ads asking for likes. You know what I mean – the huge images of disfigured veterans or abused farm animals or white-haired grannies holding American flags. The message is, “Like this if you are grateful for veterans/like animals/love your grandma”. If you check out these ads, they are often sponsored by dubious-sounding organizations — so if you like the photos, you are in fact liking these organizations. For the kind, soft-hearted among us, I would just ask that you check out the sponsoring group before clicking that little thumbs-up icon, lest you wind up showing support for something you really don’t like very much at all. Facebook is a tool that allows members to express themselves, and we should feel comfortable posting information that reflects who we are. As in any other conversation, we all have a choice. We can be tolerant of our friends, and turn a blind eye/deaf ear (either through selective reading, or the handy “hide” feature) when we disagree with them. If that doesn’t work, maybe we aren’t really “friends” at all. In that case… I think you know what to do. Thanks Sheila! Didn’t know your hubby is sports obsessed. Excellent! I love your posts about teaching, and your kids. I learned a ton about early morning birding excursions from you 🙂 You are a really good mom! It is, after all, MY TIMELINE. But then … I realized one important thing – MY Timeline is MY FRIENDS News Feed. Meaning they can’t miss it (unless they opt to hide my posts, which defeats a lot of the purpose of FB in my opinion.) By posting it on FB, you force all of your friends to read your posts which can be contentious and if I’m being honest with myself, many of the times I was trying to provoke a reaction from those who disagreed with me. For ME, this realization meant I stopped posting political things on FB entirely, and left it for Twitter. I also do my very best to ignore OTHERS posts on Politics, to the point that some of my insanely right wing friends get filtered off my News Feed, at least during election season. Anyhow, it works for ME. Your mileage may vary! Good points, Greebs. “It’s complicated” especially when it comes to politics, which has become a kind of third rail in most settings. On Facebook (and Twitter) I subscribe to the popular idea that you don’t post anything you wouldn’t want your mom or boss to read, so in that way I censor my messages. No cursing, no embarrassing photos (which I’m too boring for anyway, who am I kidding), no negative details about work, no bickering. And I try not to be a one-note poster on FB, although during election season I probably FAILED at that. I figure I got hidden a lot back then. I try to be respectful about volume too, and that’s why I disconnected my Twitter feed from my FB timeline. Few of my friends want to get inundated with my play-by-play on game nights. For me it really comes down to what any individual wants their social media to be. The challenge with FB is it’s not a dinner party, when you enter the room knowing that taboo, controversial subjects are off limits for three hours. It’s an ongoing conversation. I don’t want to feel like I’m bowing to the PC police. If 80% of my FB friends have the same political leanings as I do, do I really need to avoid posting about politics in case I strike a nerve of someone in the 20%? I’m very interested in politics, yet I probably only post a political thought once every 10 days or so (except during elections). If that’s so difficult for someone to look past, then maybe there isn’t enough friendship there to warrant keeping up the pose. If it’s a career connection, maybe we should just stay connected on LinkedIn instead? Also my opinion: I think you are less likely to personally attack the political views of a true friend on social media. You may needle them, or take the conversation offline — but you don’t make it personal. If you do, it’s probably a sign you aren’t really friends. And if we aren’t, how much should I have to censor myself for your sake? The other stuff — kid posts, gaming posts — seriously, if someone can’t overlook that stuff then the word “friend” probably does not apply. I agree with you. I do not think Facebook defines the sum of your friendships. It’s just one way to interact, and sometimes styles are going to clash.